I feel very blessed to be awarded The 15 Best Realtors in Charlotte, NC. We have some exciting news! 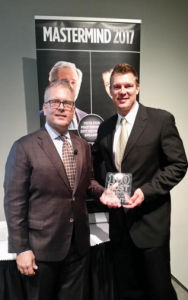 Greg was blessed and honored to be named 100 most influential Real Estate Agents for 2016. Greg was recognized for the award at the Real Estate Mastermind held at the Charlotte Convention Center where he was a guest speaker at the event. 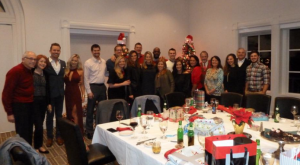 The MartinGroup Properties’ Team at the 2016 Annual Christmas Party. We had an incredible year and we are very appreciative and blessed for each and every one of you. We are so very blessed and grateful to be celebrating this special time of year with such a wonderful team of people. MartinGroup Properties is growing and we cannot wait to see our team members have lots of success in the new year. And to our amazing clients, thank you for your business and loyalty. None of this is possible without you.